To view the entire archive, click here. Sensitive, Clogged, Red Skin, and Rosacea. What’s Causing It? How to Heal It? Are You Desperately Searching for a Magic Cure-All for Your Acne? A Weekend Away With Friends Stopped My Acne – How Is This Possible? Could Fluoride Be Causing Your Acne? Are B Vitamins Causing Your Acne? Papaya Enzyme Masks – The Answer to Red, Sensitive, Clogged Up Skin? Does Sweat Cause or Irritate Acne? Are You Unknowingly Causing Your Own Acne? Are You Making Your Food With Love? Is Butter Good For You? You May Be Surprised! What is the Weston A. Price Foundation and Why Do I Listen to Them? How Far Would You Take Your Diet For Clear Skin? Do I Have to Go Gluten Free to Clear my Acne? Do You Have to Quit Coffee to Clear Your Skin From Acne? My Special Lemon Ginger Tea Recipe! How to Make Beet Kvass – Another One of My Fermented Delights! How to Make Candida Safe French “Toast” Out of Eggplants! How to Make the Best Healthy Homemade Salad Dressing EVER. In The World. Ever. Parasite Cleansing for Acne + How My Humaworm Parasite Cleanse Went! Is Your Acne Actually Acne? Or is it Folliculitis? Is Acne Your Hobby? If So, Get a New Hobby! Emotions and Acne – The Mystery Solved? Could Meditation Be the Key That Sets Us Free? Could Hypnosis Help You With Your Skin Troubles? 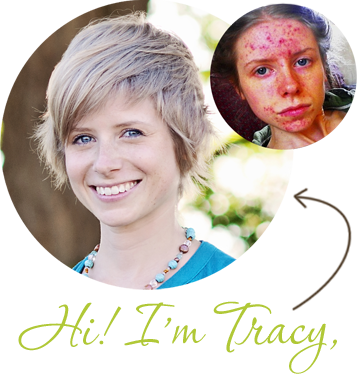 Is it Better to Be Open About Acne, Instead of Hiding It From Those Closest to You? 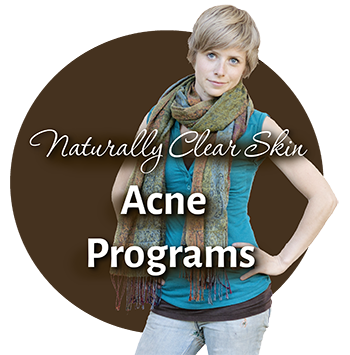 Exercise Your Acne Away – Painlessly! Should We Be Treating Acne with the Birth Control Pill? Ladies Ditch Your Tampons – The Menstrual Cup is in Town! What is Your Relationship to Makeup? Could You Ever Let It Go? I Think I Might Want to Stop Shaving My Underarms (and legs) – but I’m Terrified of What People Will Think! Why Does Acne Make Me Feel So Trapped? Sooo… How Did Tracy’s Liver Flushing Experiment Go? Have You Ever Wondered Why I Named My Blog ‘The Love Vitamin’? Enjoying These Articles and Videos? 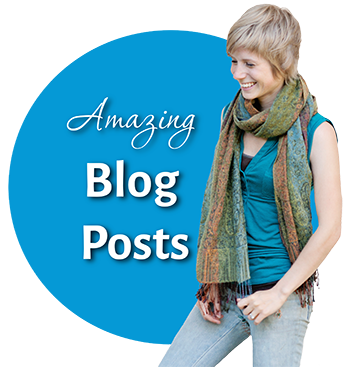 Do you want to get your hands on some extra special info that isn’t available anywhere on the blog? Sign up for my exclusive newsletter club and you’ll receive my super dupa cool newsletter sent straight to your inbox two or three times per month. 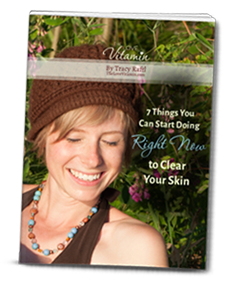 You’ll also get my report ‘7 Things You Can Start Doing Right Now to Clear Your Skin’ 100% free! Just click here and you’ll get free instant access!